Copyright © Initial Reaction. Images used with permission. 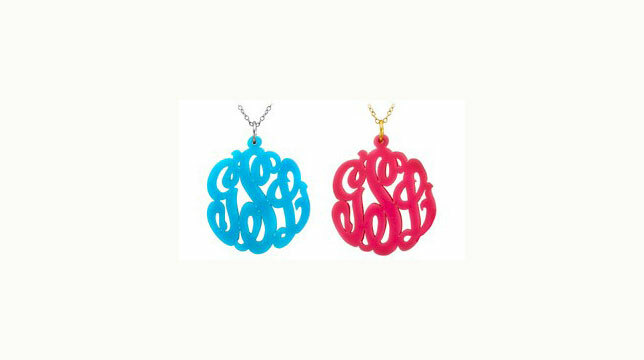 Brighten up your day with these Colored Acrylic Monogram Necklaces! The pendant is available in three sizes and is made out of your choice of acrylic color. Pendant comes with your choice of a 16� or 18� sterling silver or gold vermeil chain. Each piece is hand cut using an elegant script style - no two are alike! Available as 3-initial monogram (as shown) or with a single initial. This necklace is just what a girl needs to add a bit of color to any outfit or to coordinate with school colors & sororities. Note Regarding Gold Vermeil Chains: Gold vermeil is when sterling silver is dipped in 14 karat gold. Gold vermeil will last for many years without tarnishing and without the gold wearing away if you properly care for it. You should avoid wearing gold vermeil jewelry in the bath, shower, or when swimming. Do not have gold vermeil jewelry machine polished or dipped in any cleaning agent, these processes can wear away the gold layer. Use a soft, clean, cloth to remove dirt. What size pendant do you want? 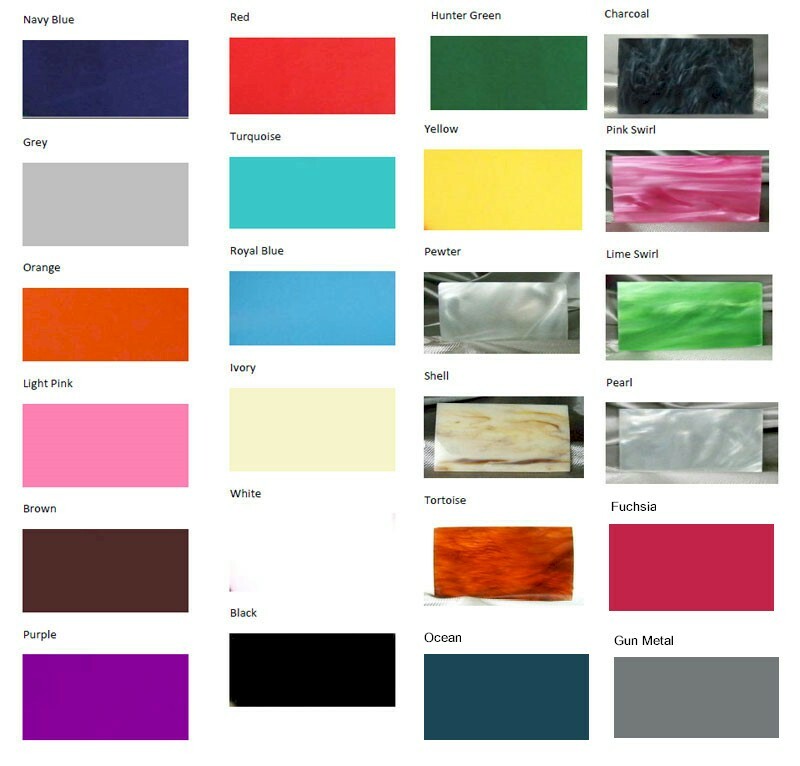 What color acrylic do you want? What color chain do you want? What length chain do you want?